Sequels: Divergent is the first in a trilogy. Look for Insurgent and Allegiant once your teenager whips through this first installment. Resolved to hide this fact, Beatrice enters the choosing ceremony still torn between factions. Knowing that she has qualities of both Abnegation and Dauntless (the brave faction), which should she select? She surprises everyone by pledging herself to Dauntless in a last-minute decision and begins a highly competitive, brutal initiation process that only a fraction of the candidates will pass and some will not survive. Beatrice invents a new identity, changing her name to Tris and adopting a new wardrobe, style, and attitude in attempts to leave her past behind her. Tris learns to use weapons and fight, but also to take risks and face her fears. And, of course, she falls for one of her instructors, a slightly older Dauntless named Four. Just when it seems that Tris will finally triumph over the initiation and those who wish her harm, she stumbles upon a sinister plot hatched by the leaders of the Erudite faction, domain of those who prize intellect and learning above all else. Tris must put her life on the line and fight to save her family, her friends, and her whole world. 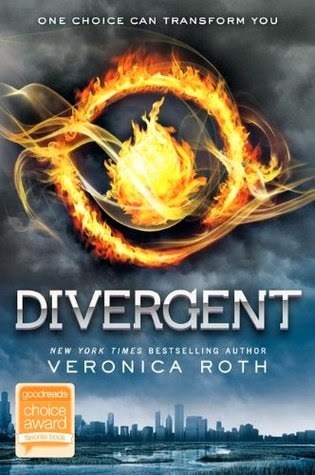 Our Take: Divergent is the first book of yet another dystopian trilogy. But it is an unquestionably engrossing read that fans of books like The Hunger Games and Uglies will devour. The premise is intriguing and most of the characters are reasonably well developed. The book’s strongest asset, though, is its page-turning plot, which will feel compelling even to those who have read many books of this genre before. It’s predictable in some places but there are still a few surprises here. Young readers will enjoy exploring themes like control, fear, bravery, individuality, loyalty, and strength of all sorts with Tris’s story. Good to Know: Divergent will hit big screens in March of 2014, with Kate Winslet in the role of primary antagonist Jeanine. Watch a trailer here.